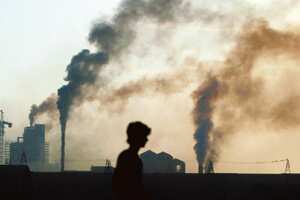 New Delhi: The ministry of environment and forests (MoEF) rejected proposed amendments on relaxing environmental norms for industrial expansion and modernization on Wednesday. 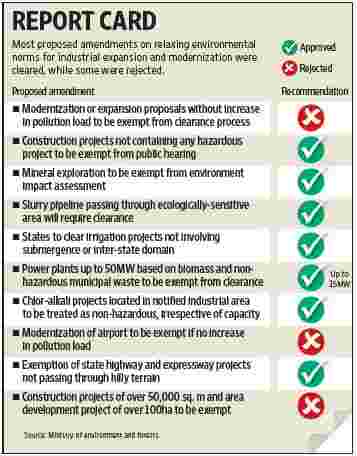 The proposals would have come as a breather for projects such as power plants, ports, special economic zones and mines by exempting them from mandatory environmental clearances. Mint had reported the proposal on 3 July 2008. The mining industry plans to oppose the ministry’s move. “Expansion and modernization are continuous processes. Why should a clearance that takes 10 months’ time be necessary? If a project proponent can convince there won’t be any extra pollution, then there shouldn’t be any problem. I am questioning the committee," said K.P. Nyati, chief executive officer, Sustainable Mining Initiative, Federation of Indian Mineral Industries, an industry lobby group. The ministry’s decision is based on a set of recommendations by a committee established by MoEF on 3 July. The committee submitted its report on the proposals made official on 19 January to invite comments and objections. The committee made its recommendations on the basis of inputs from 136 stakeholders, including Union and state governments and their agencies, industries and their associations, NGOs and civil society. The proposed amendment had said that modernization and expansion plans should be exempt from environmental notification, on the basis of self-certification that they would not generate extra pollution. But the committee report said: “The industry has generally welcomed the proposal, but civil society is opposed to it. If, later, a state pollution control board finds that the ‘self-certificate’ is not correct, it will cause considerable embarrassment to the government." It added that this is all the more possible because of the “past record of the industry and continuing violations of the various environmental legislations" and it is very difficult to visualize a scenario where expansion could be achieved “without any increase in pollution load". The move evoked a mixed response from others in industry. While some say that the amendments would not have been beneficial for the environment, others claim that continuing the clearance process for such projects will deter India from achieving its 10% economic growth target. “With this kind of forest and environmental clearance regime, we won’t be able to get the growth rate we are envisaging. The country needs 10%. If things don’t change, it won’t happen. We will try to bridge the gap by tying up with strategic partners overseas," said Partha Bhattacharya, chairman and managing director of Coal India Ltd. But a senior official with a private sector power developer, who did not want to be identified, differed. “This amendment would not have been correct from the environment point of view. We need to consider the overall impact," he said. The Confederation of Indian Industry (CII), another industry lobby group, is disappointed that its recommendation to exempt some projects was not accepted. “This is very disappointing. This will impact most medium-scale industries, which need changes in product mix. Take the example of pharma companies, which need to change their formulations quickly depending on market demand and needs to be nimble. Already under the air and water Act, you need to inform the pollution control board. It doesn’t need to go through this long, winding process," said Seema Arora, principal counsellor and head, CII-ITC centre of excellence for sustainable development. The recommendations of the committee, which have been fully accepted by MoEF, sought to strengthen the public hearing and consultation process. It has recommended that big projects need to publish all information on environmental clearance along with conditions in newspapers, and has said that expansion projects involving production enhancement by over 50% will continue to require public consultation. But Ritwick Dutta, a Supreme Court lawyer on environmental issues, said this would not be enough. “The whole assumption that category B projects have less impact and that they don’t need public consultation to that extent is wrong. It seems the impact of these projects" is being under-estimated, he said. There are, however, exemptions for some sectors. For instance, state highway projects will not require clearances, but air strips for commercial use will now need clearances. “What defines commercial? Mulayam Singh’s air strip in Etawah, Uttar Pradesh, would only be used by him, but it encroaches on the only habitat of the Sarus crane in India," Dutta said. Airport expansion and modernization, also, have not been exempted. The Airports Authority of India (AAI), with other private operators such as Delhi International Airport Pvt. Ltd and Mumbai International Airport Pvt. Ltd, is modernizing key facilities across the country. AAI alone is modernizing 35 non-metro airports, besides two metro airports in Kolkata and Chennai, to the tune of around Rs12,000 crore in investment. Robey Lal, former AAI board member, said environmental clearance was critical and even if there is some delay in a project of one or two years, it was still a meaningful mark of approval for years ahead. “Both during the construction and in operation, think of the amount of water used to lay miles of concrete used and all that run-off. More importantly, when aircraft are maintained, there is a lot of run-off of oil and lubricants in addition to aircraft waste. This seeps into the groundwater if it is not treated properly. It won’t delay projects. Once the airport is built, the impact will last for 30-40 years at least."